This series camera modules are using 1/18” CMOS OV6922 chip. The camera without LED outside diameter is only 4.0mm, able to configure wide-angle lenses and telephoto lenses to observe objects at close range. 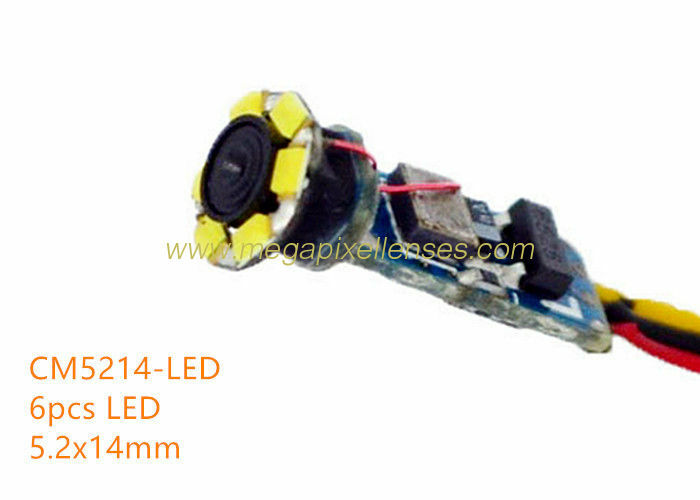 Module size: CM4014-LED 4.0mm*14mm; CM4214-LED(with 4pcs LED) 4.2mm*14mm; CM5214-LED(with 6pcs LED) 5.2mm*14mm. For more medical endoscope video camera modules, please feel free to mail us at cctv.lens@ccom-tech.com; sales01@megapixellenses.com.